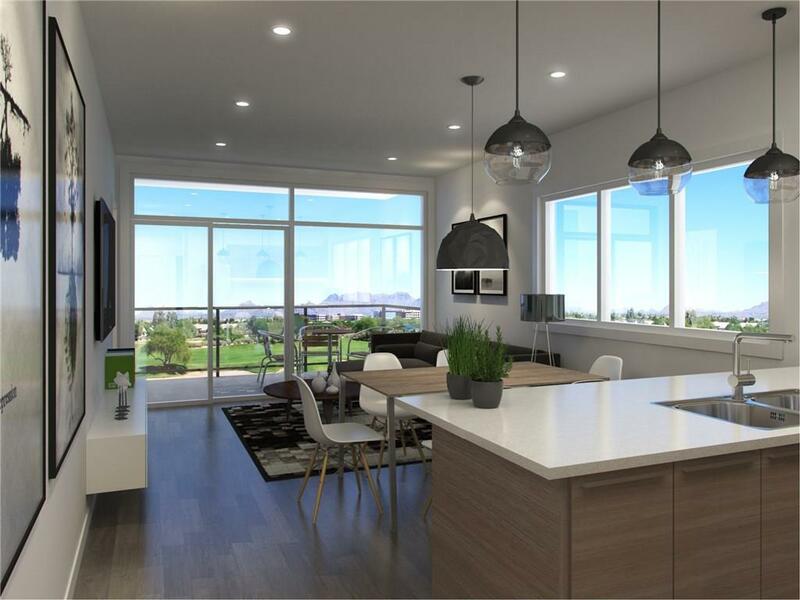 DESCRIPTION Welcome to one of the most innovative, affordable and solidly build condos Calgary has seen!! VIVO Condos brings inner-city condo living everything it has been missing. The comfort & security of CONCRETE, plus INNOVATIVE lifestyle features, and probably Calgary's LOWEST CONDO FEES!! How?? Simple!! Thoughtful design and forward thinking makes for a huge range of amazing features. Individual energy monitoring means no more paying for your neighbour's excessive use! Luxurious in-floor heating, 9' ceilings, plank flooring, full height windows and large outdoor living spaces make the interior a delight to live in. The building's low-energy design keeps operating costs down PERMANENTLY, plus the solar rough-in, electric car readiness, vehicle/pet wash station, bike/ski storage room etc. all add reasons to why VIVO dwarfs the competition - AND it's affordable PLUS a 5% PRESALE DISCOUNT! Close to every amenity, and a 25 minute WALK INTO THE CORE you have it all without having to be right in noisy downtown! Condo fees are calculated by a professional reserve fund study to ensure that the building always has enough funds to cover it's repair and maintenance needs in the decades to come. The remarkable individual energy monitoring and the energy efficient design make these costs extremely low in VIVO compared to other condos. INVESTORS - this is the perfect recipe for an investment property! Low ownership costs and excellent longevity make a smart investment. There is lots of additional information available feel free to request additional information! #301 416 15 AV Ne, Calgary, Alberta, MLS® C4147186 T2E 1H4 is a Apartment, 2 bedrooms, 1 bathrooms, approximately 882 Sq. Ft. Listing price 428,500.00. This property was built in 2018.